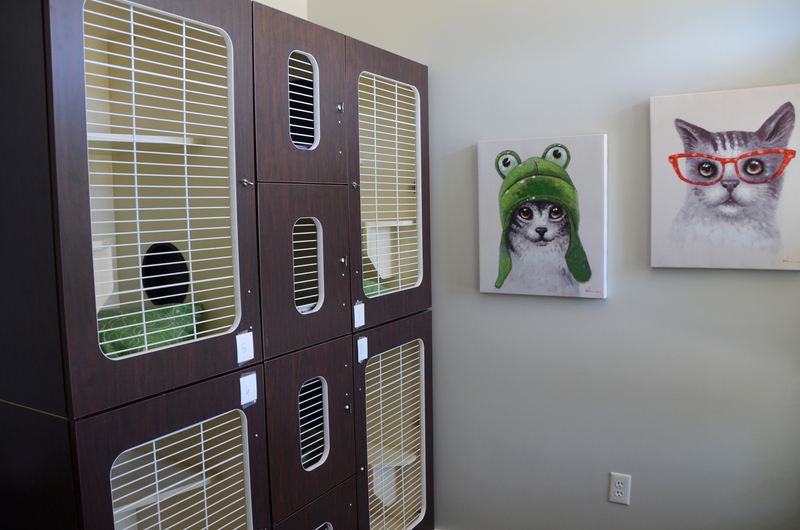 Our Cattery is located in a separate area away from all the hustle and bustle of our other four-legged guests. 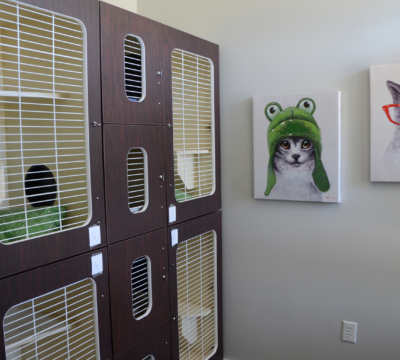 We’ve diligently selected every detail of our Cattery to ensure it is a quiet retreat where your feline will feel right at home. We use specialty bedding for cats and have 8 top-of-the-line Raintree Cat Condos designed specifically for feline boarding needs. 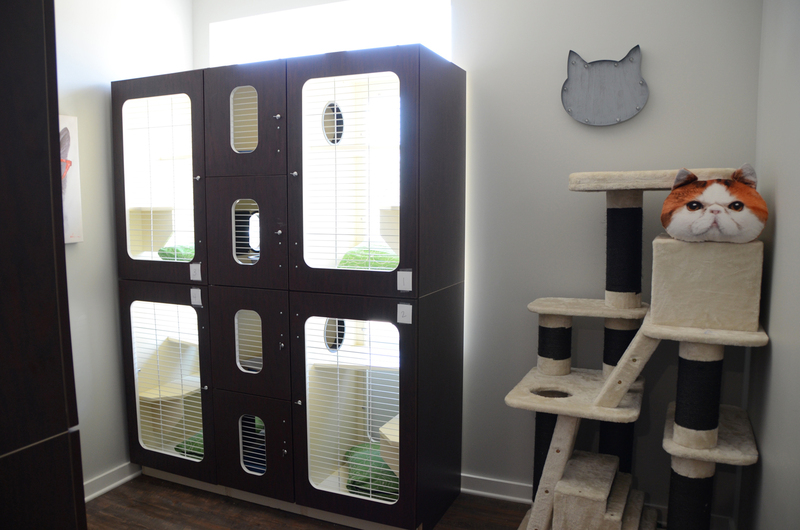 Featuring a built-in feeding and watering ledge, a resting shelf and a privacy area for litter, our Cat Condos are the ultimate sanctuary of comfort for your pet. 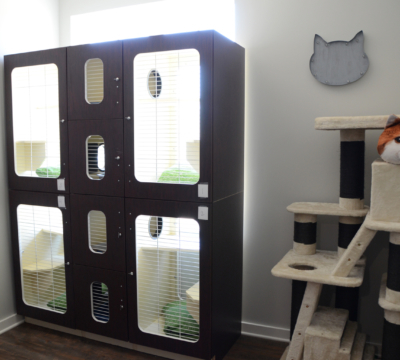 Each Cat Condo consists of a top and bottom unit with ample space for your feline to stretch out and unwind. All units are designed for healthy air circulation, and some of our Cat Condos even have full-glass back walls for great views outside to our bird feeders. Inside, your cat will have time to hang out on our Kitty Jungle Gym, take advantage of being loved on our by our staff, or chase the laser light around. We do daily room service for each Cat Condo and we scoop the litter box four times throughout the day. Food and water are available all day long, and we can serve fresh food up to three times per day if needed. All cats are also given Capstar Flea Treatment Tablets at intake to prevent fleas from ruining their stay. See the requirements for getting started or contact us today. *We welcome you to bring items that would enhance your pet’s stay, we only ask that you don’t bring anything that can’t be washed in hot water or that is of sentimental value.